I have used this website for more than 10 years. I've never needed to use another! Any time I have a question it is answered immediately and personally! No talking to machines! The site is easy to use and I LOVE the calendar and tracking feature. Just can't recommend them highly enough! Every time I have listed with WeNeedaVacation there has been a return on my money. But the biggest advantage is that I can interview prospective tenants to assess if they are suitable. Our open plan rental space is not right for everyone, and we want our guests to enjoy themselves. By using this site, we are able to connect with people in advance and determine their preferences. As a result, we have a very high rate of satisfied guests who want to come back year after year. This will be our third year of summer bookings. The support and coverage WeNeedaVacation provides has kept our Nantucket property fully rented for the season. Plus, we have the bonus of communicating directly with renters prior to renting to answer any questions they might have. A decade or more ago, when we were experiencing more than a few vacant weeks at our Nantucket beach cottage, a trusted friend suggested weneedavacation.com as his most productive source of prospects. He was right! We tried it and have never looked back. My listing, with pictures that Becky took, brings us the guests we like, and vacancies are practically non-existent. My husband and I have been members for approximately 10 years. From the start I found the website very user friendly. If I ever have a question, they are just an email or phone call away. They respond to any questions or concerns in a very timely manner. More than once I have recommended this site to people I know who decided to rent their properties. We have been working with WNAV since 2006. Their resources, articles and all-around advice have been invaluable to our success with renting our properties, and we would highly recommend them without hesitation. This is the place for business that only the Cape can offer. It's efficient and sufficient for promoting your rental. Renters are treated well and so are owners. This team can build your site with plenty of input from the owner. They know the Cape. They know how to photograph your property. They have a feel for this wonderful place. I recommend weneedavacation heartily. This is by far, the BEST vacation website we've used for renting our vacation home! Extremely user friendly and with the least hassle. Customer service is second to none! If you ever have a problem or question, it is taken care of right away. On the phone, you are always dealing with someone who speaks clearly, so there is no issue with misunderstanding or asking them to repeat themselves. Other sites can be like jumping through hoops to get 'satisfactory' customer service, and it can take days to have an issue resolved. No frustrations with weneedavacation.com at all! Because they limit their vacation homes to the Cape and Islands, you are not competing with countless other places on the market all over the world. People come to this site knowing exactly where they want to stay. I've been a very satisfied customer for almost 15 years now and unlike other sites we've tried, we have no intention of ending our relationship with this one. Bigger is definitely not always 'better."" This is our second season with WNAV. The team has a personal, friendly approach that alway makes me feel like they know us and our property. Our rentals are up significantly since joining. We just signed on with our first rental and have gotten positive results within a week! Setting up the site was amazingly easy and very impressive. We used WeNeedaVacation to book for ourselves in the past and when it came time for us to be the owner, we comparison shopped and found that this website is the best value by far. We have been using weneedavacation.com to rent our house to vacationers since 2004. I believe that their customer service, attention to detail, and commitment to innovation separate them from any other web site as a way of connecting home owners with potential renters. But the real bottom line is that their service works. They are by far the most effective tool that we use to get the word out about our house in Brewster. I want to thank you for all the help you have given me. 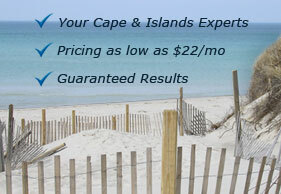 We had a great experience renting our Cape house last summer, which your patient assistance had much to do with. The owner forum in October was terrific also. I feel you've done everything possible to inform homeowners, help them through the details of renting, and make renting their houses a positive experience. I have nothing but positive things to say about your site. I'll continue to recommend it to friends interested in summer rentals, and to any friends who decide rent out their house. Really, my sincere thanks for all of the great help you've given. You have been wonderful folks and I have enjoyed our working relationship. The clients I have received from your site have all been top-notch. I will definitely recommend you to any who ask. Having called you on Easter Sunday, and your responding within hours and with a finished product is very unique customer service in today's business world. Other industries should take a lesson from you. Your team is absolutely wonderful. Very professional, helpful, friendly and approachable. I've appreciated all the great suggestions as how to better market my rental property. I don't know many other companies who call the client. You guys have made the extra effort. Good to have someone with more experience weigh in on our pricing. Please know how much I appreciate weneedavacation. I couldn’t own this property without your collective help. Thank you so much for your professionalism, for contacting me when this guest review was received by you, and especially for your process of checking them before they post. You're great to work with! Let me tell you why I love WeNeedAVacation.com... 1. My house is fully booked for the summer! 2. You almost always answer the phone when I call, call me right back when I leave a message, and answer my emails (even on a holiday weekend or Sunday)! 3. And it turns out you are a local and just up the street from our investment property! I love weneedavacation.com! We have booked our entire summer and a 10 month off-season rental and it is only mid-March! Last summer we let a realtor book our home for us, and we only filled four weeks, and of course had to pay almost 20% of the rent to the realtor. The small fee we paid to weneedavacation.com we essentially earned back after booking our cottage for one week. The owners of weneedavacation.com were so responsive and helpful with questions we had about posting our listing. I can't recommend weneedavacation.com more highly! This year I signed up with Weneedavacation and Homeaway. I have to tell you that I am BLOWN AWAY by the difference in the two sites. Next year I will not renew my contract with Homeaway. From day one when I was setting my account up with Weneeda... I received a tremendous amount of solicited and unsolicited personal support. The staff is extremely knowledgeable, helpful and sincere. Your web site is also technically far superior than the other. Most of my inquiries came from your site and only one booking is from Homeaway. I like the fact that Weneeda is geared specifically for the Cape and islands, because I think it attracts people who have been here and know what they want and what they are doing. I just wanted to share with you from a homeowner's perspective how much I appreciate all of the thoughtfulness and creativity that is reflected in the WeNeedaVacation.com website. You have made your website so easy and logical for homeowners to keep current and so attractive for vacationers to view. On those infrequent occasions that I have had to phone to speak with someone for advice, the staff has always been accessible, helpful and caring in answering my inquiries. Please do not allow anyone else to buy you and spoil the outstanding services that you offer. I am very impressed by the professional and tasteful way in which you handle the rental process. Your attention to detail and the supply of information both to owners and to potential renters is wonderful. I have friends with properties in areas outside your purview who are very envious of what you offer to us Cape Codders. Thank you for your thoughtful service.